The riveting, untold story of the doomsday bomb – the ultimate weapon of mass destruction. In 1950, the Hungarian-born scientist Leo Szilard made a dramatic announcement on American radio: science was on the verge of creating a doomsday bomb. For the first time in history, mankind realized that he had within his grasp a truly God-like power, the ability to destroy life itself. The shockwave from this statement reverberated across the following decade and beyond. If detonated, Szilard’s doomsday device – a huge cobalt-clad H-bomb – would pollute the atmosphere with radioactivity and end all life on Earth. The scientific creators of such apocalyptic weapons had transformed the laws of nature into instruments of mass destruction and for many people in the Cold War there was little to distinguish real scientists from that ‘fictional master of megadeath’, Stanley Kubrick’s Dr Strangelove. Indeed, as P. D. Smith’s chilling account shows, the dream of the superweapon begins in popular culture. This is a story that cannot be told without the iconic films and fictions that portray our deadly fascination with superweapons, from H. G. Wells’s The War of the Worlds to Nevil Shute’s On the Beach and Kubrick’s Dr Strangelove, Or: How I Learned to Stop Worrying and Love the Bomb. 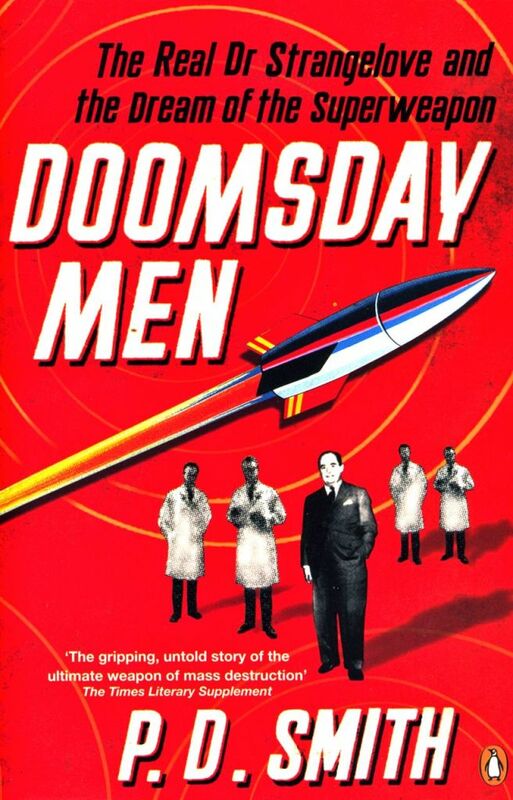 Weaving together biography, science and art, Doomsday Men creates a compelling history of physics in the twentieth century, focusing on the long-lasting search for ever-more destructive weapons, from the development of chemical warfare in First World War Germany through the arms race of the Cold War. As it forcefully shows, the culture that grew up in the shadow of this frightening weapon has helped shape all our contemporary anxieties about science, technology and the future.